When you choose McNeil Industrial, you get over 150 years of combined experience in the food and beverage industry working with you and for you. McNeil Refrigeration has been providing customers in the food processing and distribution industry with custom and innovative refrigeration solutions for over 20 years. President and CEO Barney McNeil has built the company on the notion that by helping customers solve their refrigeration needs, we gain credibility, and more importantly, earn their trust. Over the years, we have seen our customers’ approach to the way that they conduct their businesses change. With increased competition, rising fuel costs, more stringent health and safety regulations, and mounting environmental pressure, it’s becoming more and more difficult for them to manage their businesses while remaining profitable. In 2010, we responded to our customers need to be more efficient and profitable in these challenging times by changing our name to McNeil Industrial, and evolving our business in terms of the industry services and products that we provide. 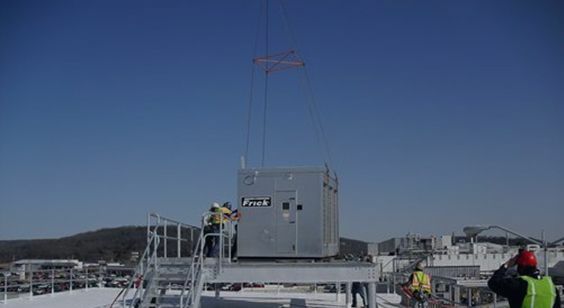 We’ve harnessed specialty areas of knowledge through our expertise in industrial refrigeration that has allowed us to offer a wider range of products and services while remaining committed to understanding the needs of our customers and efficiently providing the most effective mechanical solutions to meet those needs. Centrally located in Omaha, NE, we actively bid, design, and engineer refrigeration solutions throughout North America. Wherever you are, expect a competitive bid – designed and engineered with safety, energy efficiency, and quality in mind. When you choose McNeil Industrial as your full service industrial refrigeration provider, you can have confidence in knowing that you have a team of construction and engineering professionals with extensive experience in the food and beverage industry working with you – for you. We are commited to meeting and exceeding on your expectations by providing high quality service and innovative solutions at competitive costs for every project.